You can trust Quilty Pleasures to complete your quilt in a clean, smoke-free environment. We will help you choose the perfect quilting design that enhances your quilt top and stays within your budget. The cost of quilting is determined by the size of the quilt as well as your quilting preference. 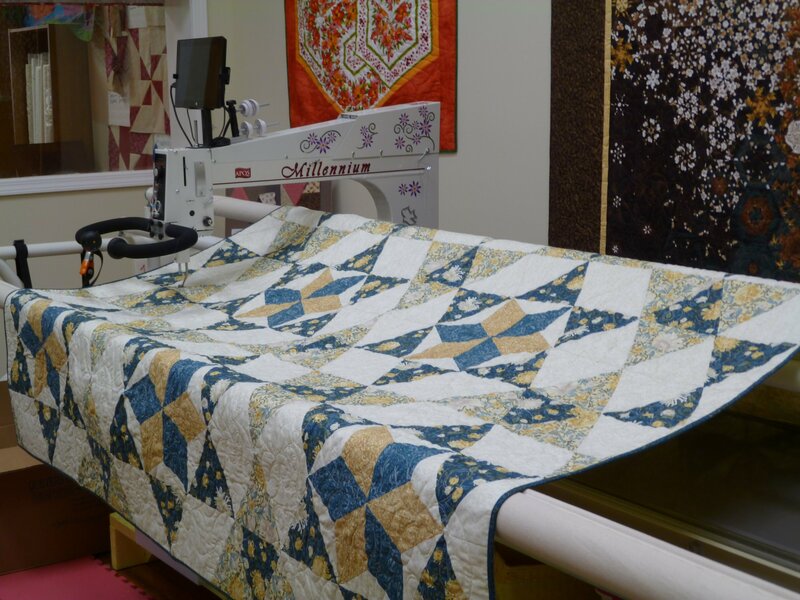 Please contact us today for additional information, or drop by our shop at 492 Exchange Street, in Geneva, NY, to discuss your quilting needs with our friendly, knowledgeable staff members.